Sixteen years since he last toured, and eighteen since the release of the most recent The The album (2000's NakedSelf), Matt Johnson decided to rouse himself from whatever artistic slumber he had been enjoying, to re-boot his band for this “2018 Comeback Special” Tour. 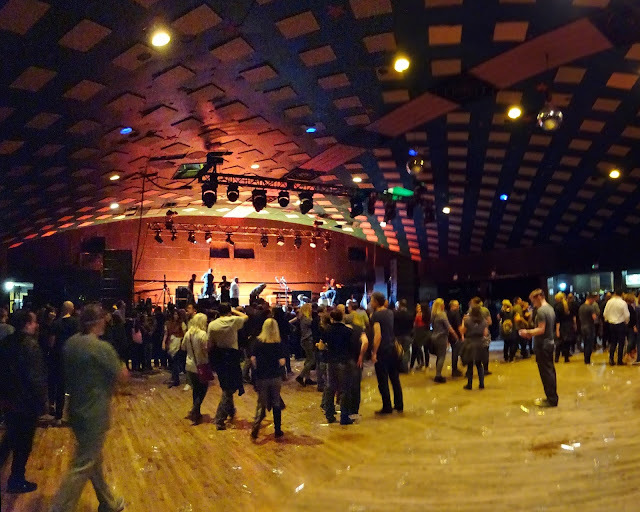 Glasgow was particularly blessed it appeared, for we were pencilled-in for a standing show at the Barrowlands Ballroom, with a seated one 24 hours later at the Concert Hall. I decided on the upright night, and was rather glad I did, for this was a grand evening spent indulging in that melange of toe-tapping, head-bobbing and slightly self-conscious swaying which passes for gig dancing by this overweight middle-aged dad. I was unacquainted with much of the set – I had sort of divorced from Matt after (what I felt at the time to be) the disappointing Mind Bomb album of 1989 - but such unfamiliarity detracted not a jot from the entertainment value. For rather than Matt's masterpiece Infected album dominating the set, as I thought it might, it was the Dusk collection which provided the most ingredients. Seven tunes in all; of which both Slow Motion Replay and Helpline Operator had me wobbling around embarrassingly. A surprise performance was a cover of Hank Williams' I Saw The Light; me only discovering later The The had actually released a whole album of HW covers in 1995 called, rather wittily, Hanky Panky. How on earth had that passed me by?